St. Nicholas never wanted to be the Bishop of Myra. But God didn’t give him a choice. Nicholas was young and wealthy. In his home town of Patara, that was enough to make him something of a celebrity. He’d never thought about it one way or another. It’s just the way things were. But when he made a pilgrimage to the Holy Land, he discovered the joy of obscurity. In Bethlehem, in Jerusalem, nobody noticed him. Nobody cared who he was. He was young. He was dusty from travel. At the inn where he stayed, he wasn’t given the best seat at the table, the best portion of food. In the churches and other holy places, nobody made room for him. In fact, he was sometimes literally pushed out of the way. And Nicholas was delighted. As a nobody, he saw more, he heard more. It was easier to give alms in secret, because nobody was watching him. In Patara, everyone watched his every move. Here, he could keep his left hand from knowing what his right hand was doing. When he got back to Patara, he talked with his beloved uncle, the bishop, about his experiences in the Holy Land. And he told him that he wanted to leave Patara, and go to a larger city, where no one knew him. There, he could go to church and pray without distractions. He could give alms and do other works of mercy without notice. He could be unknown to the world and known only to God. With his uncle’s blessing, he left for Myra. While Nicholas was in the Holy Land, the Bishop of Myra had died. According to custom, all the bishops in Lycia gathered to elect a new bishop. One name was proposed, and then another. A name that seemed fitting to one would be out of the question for another. Discussions turned into arguments. The bishops adjourned their deliberations, then reconvened. The See of Myra remained without a bishop. One night, the oldest of the bishops had stood long at prayer, asking God to resolve the controversies and to provide a bishop for Myra as he had provided a wife for Jacob. Then he went to sleep. As he slept, he heard a voice telling him to get up and go to the church, and to stand in the shadows in the back. The first person to enter, before Matins, would be a young man by the name of Nicholas. He was to be the Bishop of Myra. And so the old bishop got up and made his way to the church. The sky had begun to change from black to gray when he arrived, and birds were starting to move in the trees. He went to the room where the bishops were gathering, and told the others what he had heard. He urged them to pray. Then he found a place in the nave, between the pillars, where he could see the door without being seen, and he waited. When the sounds of the roosters and the servants told Nicholas that the day was beginning, he rose and dressed quietly, so as not to disturb the men who shared his room. In Myra, he could attend church for all of the services, and nobody noticed whether he was there or not. He liked it that way. And so he made it his custom to arrive at the church well before Matins. That way, he could stand and pray for the needs of the people he had met, and nobody would note his coming and going. And so, in the gray light of the morning, he slipped through the door and turned towards his favorite spot in the darkness between the columns. And someone was there. A bishop. He turned and started walking quickly away. Nicholas stood frozen for a few moments, then followed him, quite certain that he had misunderstood what the man had said. Nicholas looked at the men around him. Everyone in the room seemed to share the same thought. Everyone but him. “Follow me,” the old bishop said again, and again Nicholas followed him. The other bishops followed Nicholas, forming something of a procession. 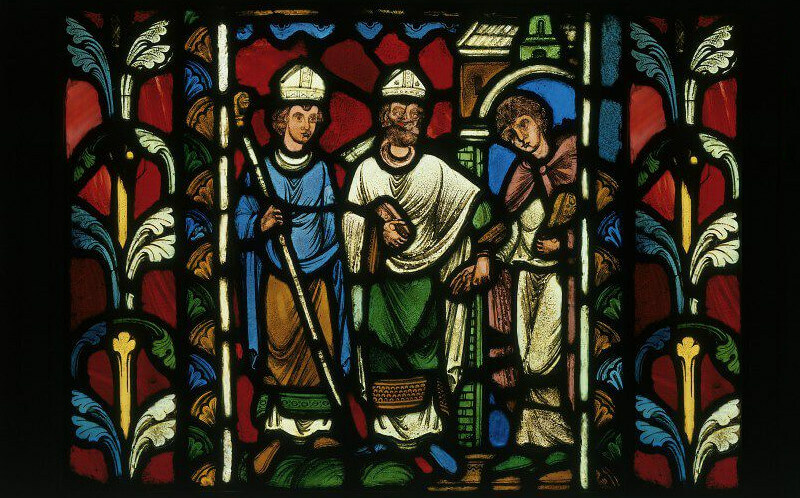 The bishop led Nicholas into the nave, to the bishop’s seat. “You will sit here,” he said. And Nicholas sat in the seat he was given. His dreams, his plans for his life were fading as surely as the sun was rising. It seemed that God had something else in mind.